“It’s 6:30 p.m. in eastern Arizona, and an energetic doctor who has gained notice due to his disdain for vaccinations has just gotten home. It’s been a busy day. He’s already spoken to USA Today. He just did a segment on CNN. And he’s closely monitored his Facebook page, which has collected 4,000 “likes” in the span of 48 hours. But Jack Wolfson always has time to discuss vaccinations — his hatred of them and his abhorrence of the parents who defend them. 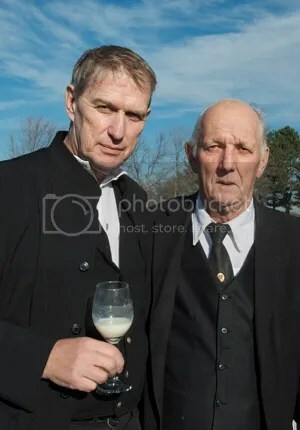 Ontario farmer and raw milk advocate, Michael Schmidt, with one of his supporters, following a court case in 2011. 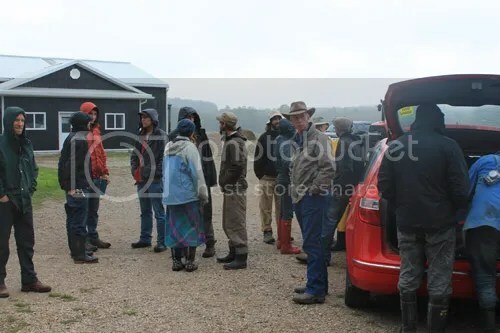 Ontario herdshare members and supporters on hand for a meeting with health officials.